With the major casting announcements done and the trailer for “Star Wars: Rebels” released, there’s actually not much “Star Wars” news hitting on “Star Wars” day after all. Filmmaker J.J. Abrams and writer Lawrence Kasdan decided to try and change that perception, interrupting their busy workload in London to record a very brief message for fans which seems to indicate some further casting announcements will be forthcoming in the next few weeks. 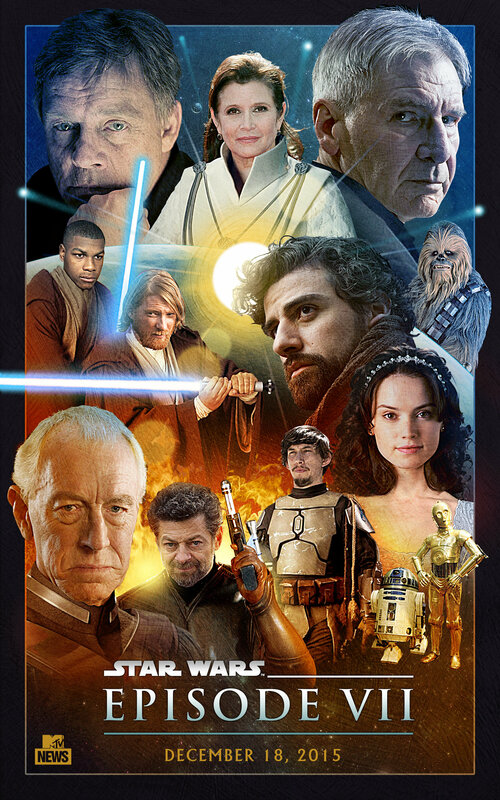 Meanwhile ‘Old Red Jalopy’ has created a fan-made poster for MTV in honor of today’s celebrations which teams original trilogy cast members with the seven new ones announced earlier this week. No word on when we’ll see an actual official teaser poster from Fox, later in the year at the earliest most likely. Principal photography on the actual film kicks off on May 14th.